Am I a Crazy Rich Asian? Am I a Crazy Rich Asian ? By some definitions. Crazy? tick. Rich - vs average, well yes, tick. Asian - hmmmm, I guess, tick. The film has broken through all type of cultural barriers echoing the breakthrough we saw through Black Panther and chiming with the #MeToo movement. Stories. Plays. Movies. There is a school of thought which advocates these stories should reflect us. Reflect the human condition. Reflect our hopes and dreams, sins and vices, our sameness, our diversity. Why has it taken so long to see such reflections? And if people want more such stories then are the mechanisms in place to facilitate that? One argument runs that dominant culture and dominant gate keepers wish to retain power and dominance (a variation on Darwinian survival of the fittest) and such dominance will tend to crush rivals... competing cultures, competing narratives - it’s a truism, winners write history. Thus stories of unheard voices or minority’s voices are suppressed either intentionally or by unintentional neglect. There are two - not necessarily exclusive - solutions. One is via policy, rules, intent where investment or programming purposely targets these stories and promote them. Or at the least ensures equality of opportunity. Another might be to try and use market based forces to reveal and meet the demand for such stories. It’s possible to combine the two. Recall I’m all about the mix and mingle. So why is it so notable that sales are strong and holding steady? This shows there is demand for these type of stories. In a classic market model in search of profit, or rather shareholder value, (not always quite the same) this shows ignoring this demand was detrimental to shareholder value and profit. This is why a market based social liberal might argue the market mechanism and profit seeking lever when properly implemented is one of the best tools we have for promoting such unheard stories. On one level It lets people choices decide. Yet the lack of such stories could be viewed as market failure. Another aspect is the pressure on such a story. In the dominant story form, there are many unsuccessful examples. That’s OK there is more than enough success as well. There is - as Viet Nguyen might say - narrative plenitude. Where as Asian-Americans live in narrative scarcity. I think this is an intriguing concept. (see NY Times op-ed here by Nguyen). A single Anglo-American-overseas-Chinese story done poorly sends a negative market signal - maybe not because there is no demand but because the movie was poor. Arguably again poetry in its current state suffers from a lack of diverse critics and published writers - a narrative scarcity - although I imagine most people have written a poem of sorts in their life time. Skipping again to the broad umbrella is sustainable investments - if there is demand, will the market adjust? Is there real demand? Borrowing the idea of a tipping point or critical mass, I think we can see that in cultural moments and movements. Those moments can open markets and unleash those unwilling to commit. I note - I myself for a complex set of reasons - have a multi-facet career where story telling is only one portion and investments the larger job. These moments can open up stories for those voices not heard and those creatives who could tip over if only they believed there was a pathway for their work. Still great work is not created in a vacuum and story tellers do not appear over night - there’s a craft at work and hopefully this proves a moment that builds on. Do I recognise anything in this movie? I have to admit yes. I know these people. I know a wife who hid expensive shopping from her husband (though for slightly different reasons); I learnt Mah Jong from aunties; I’ve sat in kitchens with Matriachs and argued about where the best Satay is found. Others won’t think this world reflects them. I think that’s OK too and maybe if they have it in them, and they want to see the stories that reflect what they know - they should then do better - and create and write the stories themselves. Eat up your nuggets. There are starving children in America. This is true, about 12- 15% of Americans are below the poverty line which matches the number of Americans who receive food stamp aid, currently running at about 40m Americans on Food Stamps. On a more optimistic note, Cancer survival rates are the highest ever with 7 out of 10 Americans diagnosed with cancer surviving more than 5 years. Lastly, on the CRA UK launch, I'm supporting BEATS... which seek to: humanise British East Asians, increase the visibility of British East Asians on stage and screen, and advocate for the use of the term British East Asian. One of our means of achieving change is by directing the spotlight and mobilising the public to generate critical en masse support to key cultural events that act as catalysts for equality and representation for British East Asians. We are launching the first of these events now with a special community presentation of Crazy Rich Asians on 14 September at 19:00 at the Picturehouse Central. An amazing unexpected gift of poetry. I'm not a critical reader. But, I feel I should respond. I put some weight on the line of thought suggesting art, poetry, performance is not complete without a viewer, reader, audience. And if that reader can respond, that’s all the better. Aphorism | A pithy, instructive statement or truism, like a maxim or adage. From what I read, The term was first used in the Aphorisms of Hippocrates, a series of proposals concerning the symptoms and diagnosis of disease and the art of healing, around 400 BC. Life is short, art long, opportunity fleeting, experience deceptive, judgment difficult. This was written around the time of The Tao, which is threaded with aphorism and literature through the ages has been full of it. 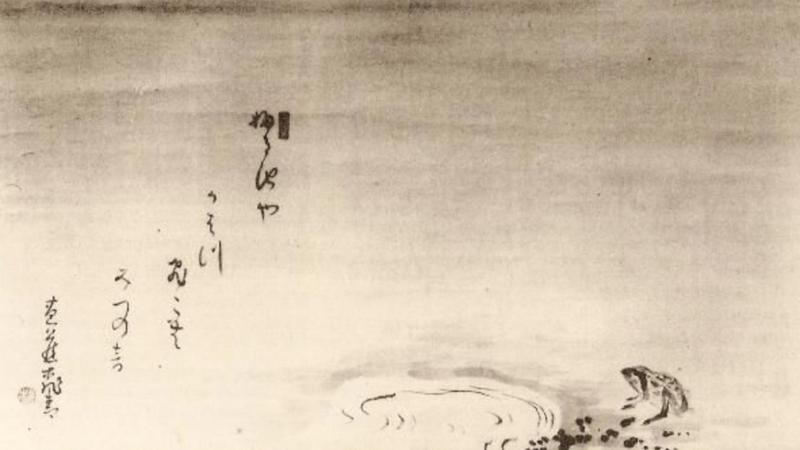 It hones in to poetry at certain times, for instance 16th century Japan and the haiku of Basho. I see many haiku as both poetry and aphorism. And so fast forward until today and it's still a heavily used form. 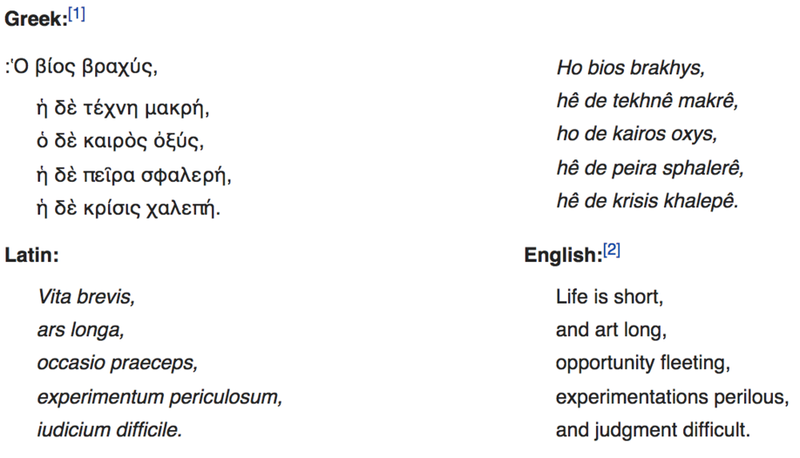 Not only the terse maxims that spread like pollen on social media, but by writers from risk philosophers to poets still. I digress back 50 years and note that Wittgenstein wrote a set of remarks, under the heading Aphorisms – to my mind showing the continued use of aphorism form for philosophers over the last 2000 over years. Of course, what confuses us is the uniform appearance of words when we hear them spoken or meet them in script and print. For their application is not presented to us so clearly. Especially when we are doing philosophy! " Zipping forward again, I've read the work of Sarah Manguso. She calls her aphorisms, arguments in her work 300 Arguments. (cf Wittgenstein's remarks, James Richardson’s Vectors is “Aphorisms and Ten-Second Essays.” Jenny Holzer uses the word “truisms.”) Manguso answers some questions with MIchelle King here. It seems along with the notion of aphorism, it has many second meanings. Coming to my gift, Rishi Dastidar has written 95 Reminders. These reminders are aphorisms and are rooted in Martin Luther (the original priest of Lutherans). On 31st October 1517, Martin Luther, a professor of moral theology at the University of Wittenberg in Germany, posted 95 theses on the door of All Saints Church. They were his arguments against what he viewed as corrupt practices in the Catholic church. This act is now considered the start of the Protestant Reformation. 500 years on, the following reminders are offered in a similar spirit: indulgences to help you avoid sin — or not. but I have to admit the book is more beautiful to me. The reminders are less opaque than Mancini on average but still full of wit. The overall thread is coherent. It has limited caesura (cf Mancuso), some jaunty juxtaposition for wit but seldom competing ideas. That on some level puts it into the sphere of Taleb. Mancuso and Taleb compound their aphorism arguments, Rishi is lighter than that but perhaps that brings his points across more cleanly and accessibly. I’m not a full time reader of poetry or literary form. I do flit across many fields but it seems to me Rishi’s addition is worthy and a delightful read to me. If you'd like to feel inspired by commencement addresses and life lessons try:  Neil Gaiman on making wonderful, fabulous, brilliant mistakes; or Nassim Taleb's commencement address; or JK Rowling on the benefits of failure. Or Charlie Munger on always inverting;  Sheryl Sandberg on grief, resilience and gratitude or investor Ray Dalio on  on Principles. Cross fertilise. Read about the autistic mind here. Charles Reznikoff created two unique works of poetic art of the 20th century. To my mind, these works are amongst the greatest by an American poet, yet he is hardly known. Perhaps, this should be unsurprising. Most are unable to name the greatest living British (female) playwright, and very few can name an artistic director of a theatre, who is a also a person of colour. Increasing this awareness of Reznikoff’s work by a drop, I highlight this biographical essay from the Poetry Foundation by Milton Hindus. Allen Ginsberg, William Carlos Williams, Robert Creely were admirers, as were George Oppen and Louis Zukofsky. Perhaps like JH Prynne in England, he is a poet’s poet. I’ve read Testimony: The United States, 1885-1890: Recitative. And Holocaust, both once and have dipped in and out since. I can not say they are easy works. Both are unique in American literature. This editing to its essential bones, the closing and the finding of the gaps between hits a deep and true level of poetry. This has cousin work in what I have been writing on found art (see Tony Matelli post), found sound and verbatim theatre. The extract is notable that there is a poetic thread on the lives of black Americans running throughout the work. This makes the work the most significant on the black American experience by a white (modernist) poet – I do not know of another white poet to portray black America of that time in this un-adorned poetic fashion. With the exception of Holocaust, it has no parallel in American writing. Reznikoff distils, concentrates and crafts the essence of holocaust survivor testimonies into Holocaust. He used the Nuremberg Trials and the Eichmann Trial as source material. There is no opinion. There is no observed outcry. The voices speak for themselves. If you'd like to feel inspired by commencement addresses and life lessons try: Neil Gaiman on making wonderful, fabulous, brilliant mistakes; or JK Rowling on the benefits of failure. Interested in some more found art, I have some thoughts on watching Dickie Beau and his found sound. The found sound of drag fabulist Dickie Beau. London W1S 4BY, until Dec 16, 2017. Several impulses strike when looking at Tony Matelli's work. To touch - to wonder what the work is made from - does the food smell ? - are the statues found ? I'm interested in found work across mediums. The found sound of drag fabulist Dickie Beau. The found verbatim theatre of My Name is Rachel Corrie and Alecky Blythe (an aside, even my own Lost in Peru which is also probably my worse review ever (so far, hah! Alienation and poetic naval gazing, but at least pushing the boundaries of form and style!) but it did find me love). The found poetry or heightened poetry of the likes of Charles Reznikoff. What transforms an object found into something more? How can it reveal a deeper truth? Does it need to? As does juxtaposition or enjambment. A sandwich. In this case almost literally except the food is painted bronze. Work like this will often produce a superficial response. How hard is it to place a urinal on a plinth? 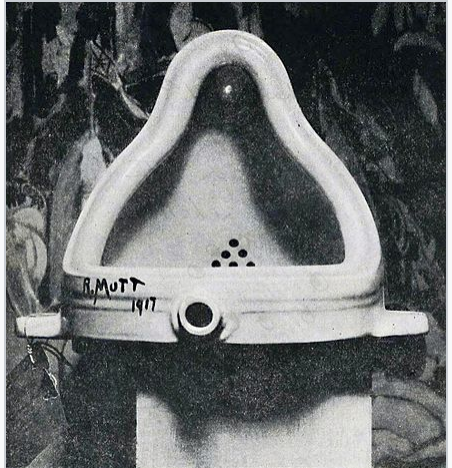 (Duchamp’s famous found art icon / practical joke) Much of where art today provokes such a response. That may be your truth. I like to judge art differently. Intentionality. History. Thought. The viewer all wraps up in this. I'm not studied in art. I've read a little. John Berger and Susan Sonntag. The interviews of Francis Bacon. But I reach across several mediums of expression. So to me. I see this. I immediately recall Di Chirico's Uncertainty of a Poet. (Artist says not influenced by). There is an absurdity. The impermanent made permanent. The fragile cast into bronze. The real and hyper real being not what you see. The permanent being found. Made and remade. The old made a new. Sandwiched and juxtaposed. This takes me to the theatre of the absurd. And where life or found art or #realnews over #fakenews seems more strange and bizarre than the strange and bizarre. 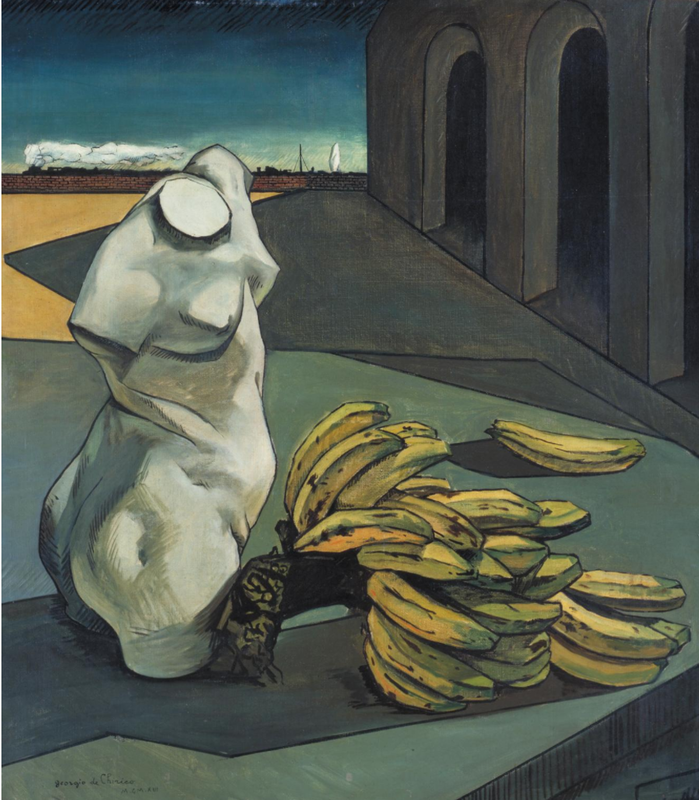 Looking at a banana which is not a banana on an old statue that is not old found in a place where it is not found and as the absurd builds on the absurd - that’s part of the human condition as expressed in art. 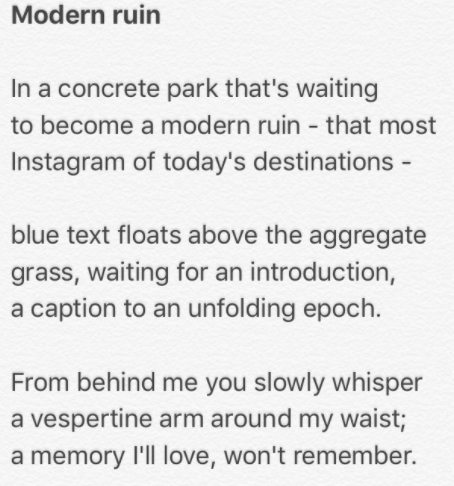 My funny little Linkedin poem in honour of UK National Poetry Day. It riffs on this fad of some posters in an effort to gain more views have taken on this elongated form of post particularly suited to a mobile phone. The 4 books of poetry I’ve last read are Rishi Dastidar (Ticker Tape) JH Prynne, Rebecca Bird (through Rishi), and CD Wright (One with Others). If you fancy it, check them out. JH Prynne to my lay mind is one of the most important British poets of the last 50 years. The CD Wright book One With Others is extraordinary (I will try a post on it some time, I can't even think to describe it in a few words). There’s a large part of me which is sad we read so few poets. That’s the way of the world, I guess. More on Prynne here (I sat next to him and his orange tie once). Rishi's book here. Rebecca Bird's site here. One With Others: "Investigative journalism is the poet's realm when C.D. Wright returns to her native Arkansas and examines an explosive incident from the Civil Rights movement. Wright interweaves oral histories, hymns, lists, newspaper accounts, and personal memories—especially those of her incandescent mentor, Mrs. Vititow—with the voices of witnesses, neighbors, police, activists, and black students who were rounded up and detained in an empty public swimming pool. This history leaps howling off the page." New Yorker article here. I owe a post of Thanks to Forrest Gander (who like Gideon Lester was very influential to me), so there's another post in the back log. Several poetry, short story, art and a play writing competitions with deadlines coming up. The Oxford Brookes Poetry (28 Aug, deadline) competition. Aesthetica Creative Writing Award, both poetry and short story (31 Aug) and an art prize. Sunday Times EFG Short Story Award (28 Sep, need to be published writer). Manchester Poetry Prize for best portfolio of poems and the Manchester Fiction Prize for best short story (29 Sep). Taking Flight, play competition (30-60 mins, 1 Oct, Asian writers). The big one in poetry, The Poetry Society’s annual National Poetry Competition (31 Oct). Get ready, get set - write - draw - go ! The Oxford Brookes Poetry competition. The winners of each category will receive £1000 and both runners up £200. The Aesthetica Creative Writing Award is an international literary prize that celebrates excellence in Poetry and Short Fiction. The prize is now in its 11th year, hosted by Aesthetica Magazine. With the aim to support and nurture new writing talent, it awards publication within an inspiring anthology to a shortlist of 60 writers, including a winner from each category. The winners are also presented with further opportunities to expand their literary careers: £1,000 cash prize each, a consultation with literary agency Redhammer Management, a Full Membership to The Poetry Society, a subscription to Granta and books courtesy of Bloodaxe Books and Vintage Books. They also run an Art prize. There are two awards for entry: the Main Art Prize and the Emerging Art Prize. The Emerging Art Prize is open to current students and artists who have graduated within the last two years. The Main Art Prize is open to all, including those eligible for the Emerging Art Prize. The 2018 Sunday Times EFG Short Story Award. The prize, worth £30,000 to the winner, is an international award, founded in 2010, that is open to any story of up to 6,000 words written in English. Stories need to have been either previously unpublished or only published after 31 December 2016. Five other authors shortlisted for the award will each receive £1,000. The prize is administered by the Society of Authors. To be eligible, the author must simply have a record of prior publication in creative writing in the United Kingdom or Ireland. The Manchester Writing Competition was established by Carol Ann Duffy in 2008. It offers the UK’s biggest literary prizes for unpublished writing and has awarded more than £135,000 to its winners. Each year two £10,000* prizes are awarded: the Manchester Poetry Prize for best portfolio of poems and the Manchester Fiction Prize for best short story. Designed to encourage and celebrate new writing across the globe the competition is open internationally to new and established writers. There is a play writing competition from Red Dragonfly. It's aimed for Asian writers in the UK only. They are looking for i) a thirty minute to an hour stage play, the subject of which can be anything you want – from something contemporary to more traditional folk and fairy tales- as long as it is family friendly – and we mean the whole family not just small children ii) The play should be written for a cast of up to five actors – although they can double up on characters if you want and iii) workable with a minimal set, however do not let this restrict your imagination – it's amazing what can be accomplished on a stage with very little. Applicants need to be over eighteen and based in the UK but otherwise we are truly open to hearing from anybody. Finally in this summary, the big Poetry Society competition, it's open globally. All poems must have a title and must not exceed 40 lines in length (excluding title). Entries can be on any subject. Entries must not have been published, self-published, published on a website, broadcast or featured among the winners in another competition before 31 March 2018. Get ready, get set - write - draw - go ! I am. We are. Stewards. Pass it on. Pass it on. It is passed on. It is. Passed on. In your words. In your touch. In your sound. In your eyes. In your being. We pass it on. We pass on. We pass. We. an impossible song of love. For Sue Dunkley and Jane Bodie. Arts. Autism. Investing. David Jones. Works grow over time. David Jones. 'This item is from The First World War Poetry Digital Archive, University of Oxford (www.oucs.ox.ac.uk/ww1lit); ©All images in this post. I'm reading over writing I did 10 years and I'm amazed on what still seems relevant. It reminds me of some Ernest Hemingway (attrib) advice (commented on here and book here), don't compete with living writers. It's the dead ones that matter. My neighbour and friend at Harvard, who was training to be a priest (and now is a wonderful priest - what makes an impact in Church work today - must be a whole other series of thoughts) gave me a book on David Jones. Jones’ poems In Parenthesis and Anathemata are great works I come back to time and again (poetry foundation page here). They are not easy first reading but very rewarding. letter to Colin Hughes on his work. (or am I growing up? cf. Mark Twain (attrib) - "When I was a boy of 14, my father was so ignorant I could hardly stand to have the old man around. But when I got to be 21, I was astonished at how much the old man had learned in seven years." ...over time intrigues me in a world of seemingly ever faster, more connected instant media. David Jones was also a brilliant visual artist. from his manuscript for In Parenthesis. He is known as a painter-poet. David Jones was born in south-east London to a Welsh father and a London-born mother. As his father had been discouraged from speaking Welsh as a child, David Jones did not speak the language. Yet Wales, Welsh and Welsh mythology would remain a significant component artistic influence. He studied at Camberwell College of Arts, where his work was described as ‘leaving everything out except the magic.’ He enlisted at the beginning of World War One, serving from 1915 to 1918. He served longer on the Western Front than any other major war poet in the UK. This shaped his whole life. He had traumatic breakdowns through out his life. Certain breakdowns would then make turning points in his artistic practice. Jones also made beautiful type and engravings and post-war David Jones became a Roman Catholic. His Christianity would become increasingly important in his art. 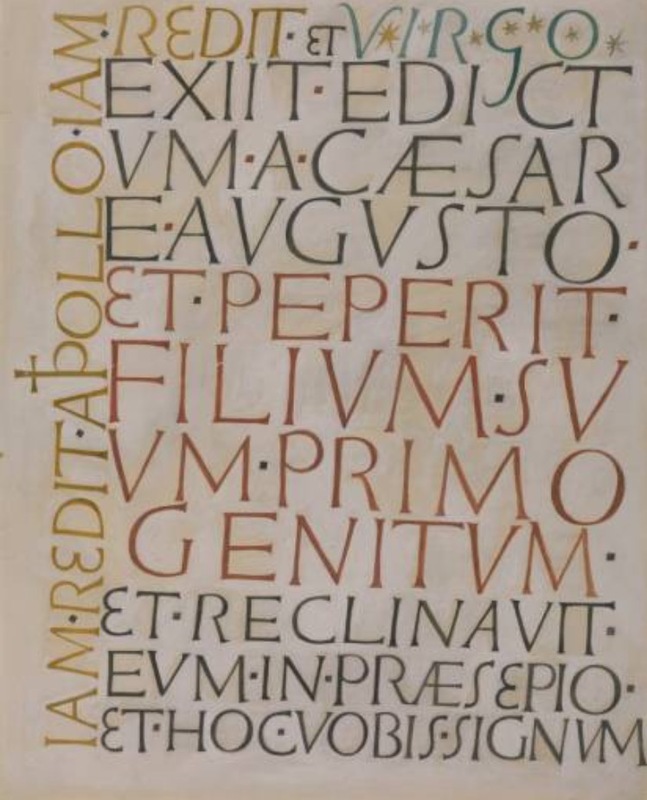 Post war, he came under the influence of Eric Gill, a religious artist. TS Elliot and other poets of the period considered Jones work important.I believe if you compare In Parenthesis and Anathemata to Elliot's work you can see why.It must be someone's PhD thesis or more. More recently In Parenthesis was turned into an opera by Iain Bell and WNO with Librettists Emma Jenkins and David Antrobus (I'm not jealous, honest). It has also been a recording made a while back at the BBC.